Kabbee is a popular price comparison and booking engine for booking taxis and minicabs in London. Through kabbee’s web platform and mobile app you can compare minicab prices from 5000 licensed cars in London and find the cheaper quote. You will be able to get an immediate price comparison of fares and see the ratings before booking and you may pay by cash, card or pre-paid account. The selected fleet will inform you which cab is booked for you and update you as soon as the cab is outside your door. Kabbee will be launching across the UK very soon. Overall, Kabbee is a nice website and app that saves you money and hassle when needing a cheap taxi. 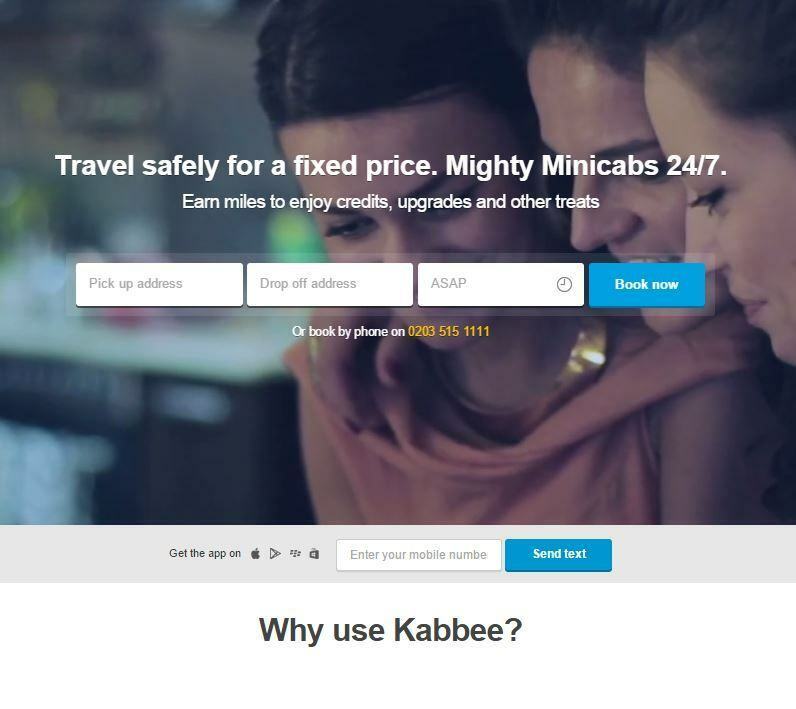 Kabbee instantly compares all of London’s best minicab companies and finds you the cheapest quote.